Feel good in the middle of nature. Get to know local hospitality. ... leopards are at home here. Relax after an adventurous day. 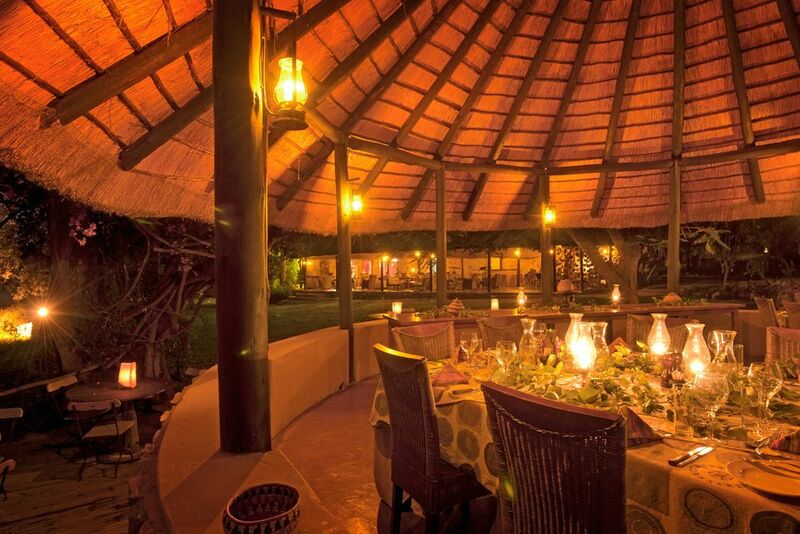 Dinner in the Boma - a great experience! Feel the magic of the wilderness! These extraordinary sunsets are not uncommon here. Unwind and recharge your batteries. 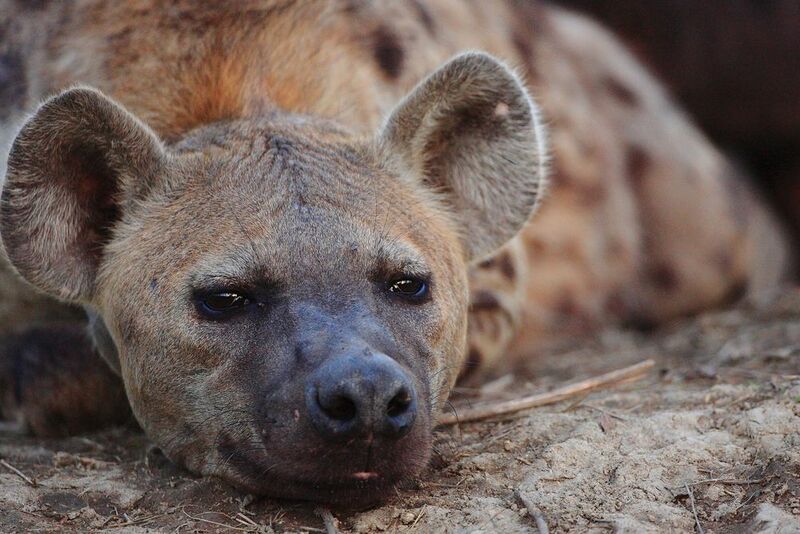 Get to know Africa's wildlife. Hop in a jeep and go on a safari in the surrounding areas. South Africa's landscape is beautiful. Peace and quiet can be found in many places in South Africa. 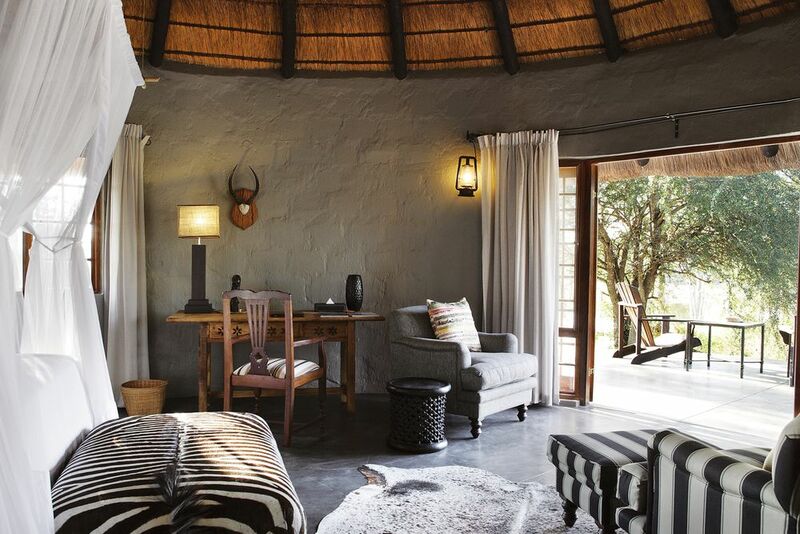 The Motswari Game Lodge in the Timbavati Reserve lives by the philosophy of Home in the Wilderness. Enjoy a family atmosphere and very professional safari adventures. 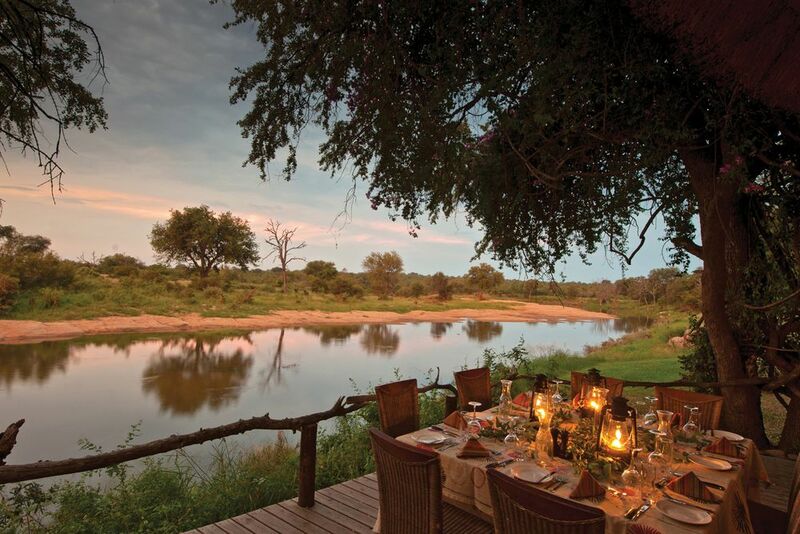 Ideally situated, the exclusive Motswari Private Game Reserve provides the best of everything in Africa for even the most seasoned travelers. 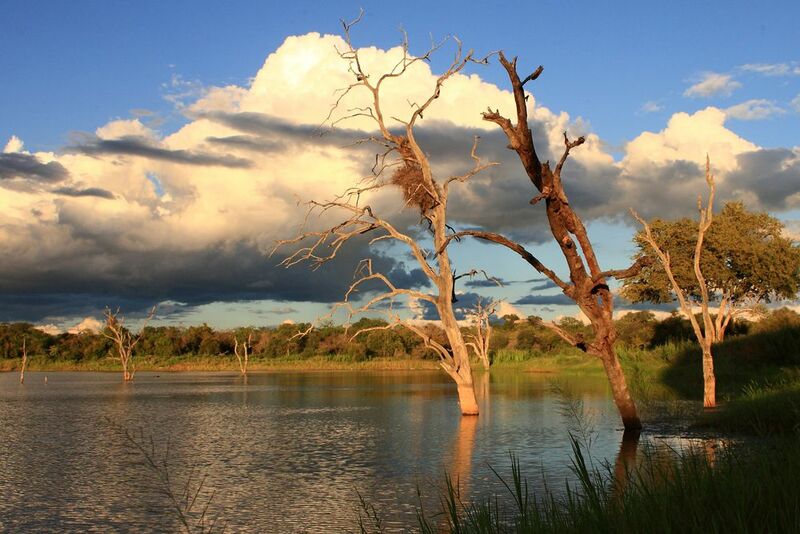 Motswari is nestled in the Timbavati Private Nature Reserve, being itself a part of the Greater Kruger National Park. The area is famous for its excellent animal observation opportunities and exciting adventures. The 4-star lodge is family-owned and associated with the reserve. 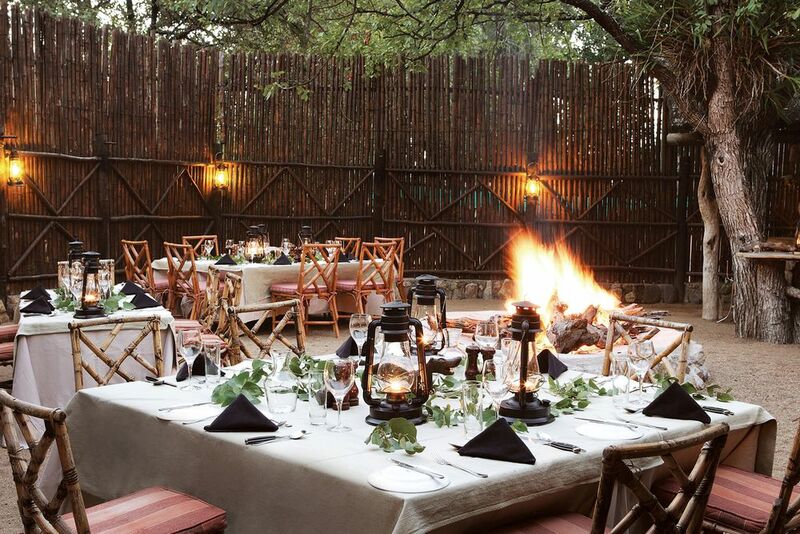 They offer a luxurious and relaxed atmosphere, as well as professional safari opportunities! The lodge is only 5 hours away by car from Johannesburg, or you can also take a plane from Johannesburg to the nearby Hoedspruit Airport. Discover the wild observation by going on a game drive in the open, off-road vehicles. 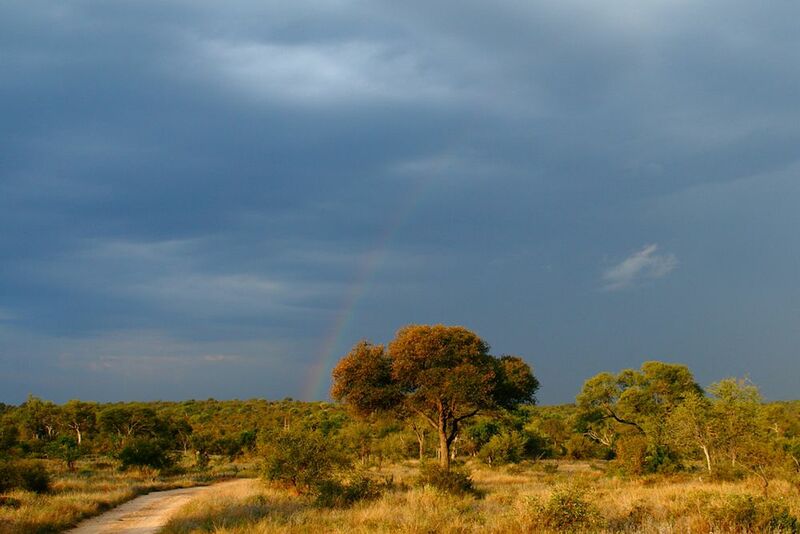 The excellent rangers and experienced guides from the Shangaan tribe are doing their utmost to allow the guests to participate in the exceptional wildlife of the Timbavati area. 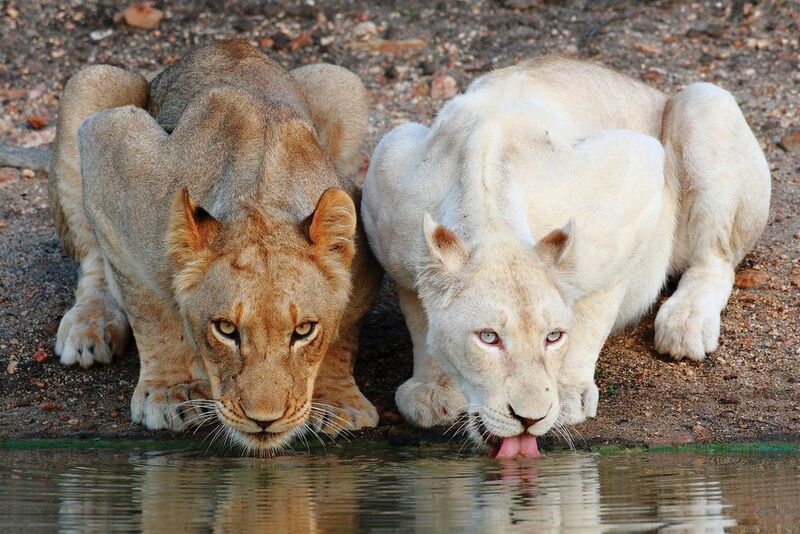 The region is especially famous for the highest density of lions and leopards in Africa. Another highlight of your stay at Motswari Game Lodge are the daily guided hikes through the bush under the expert guidance of a ranger. In the main lodge, there is an indoor and outdoor lounge, a dining room, an open boma and a viewing deck with an infinity swimming pool. There are also two bars, a souvenir shop, a library and a small art gallery. The beautiful outdoor area’s Leadwood trees invite you to simply unwind and enjoy the ambience of luxury and wild nature. The excellent cuisine and well-stocked cellar have award-winning wines from the Cape to impress all palates. There is exquisite, friendly and competent service in all areas of the lodge: you will come as a visitor and leave as a friend. 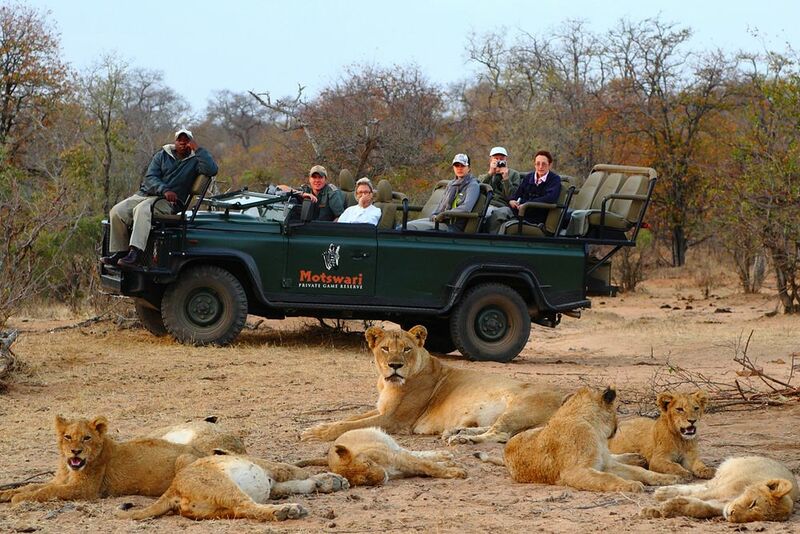 The Motswari Game Lounge is a partner of the well known Classic Safari Camps. The 15 luxurious, thatched bungalows have in-suite bathrooms and air-conditioning. A maximum of 30 guests can stay at the lodge, so this ensures a lot of personal space for an indispensable stay in an elegant atmosphere. 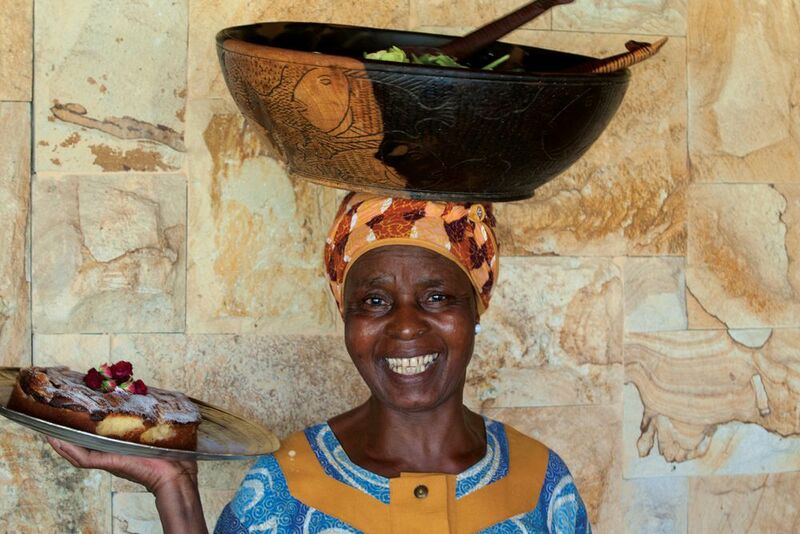 The Motswari Game Lodge impresses with its aesthetics, which is based on the rich artistry of the owner herself, as well as on the creativity of the employees. 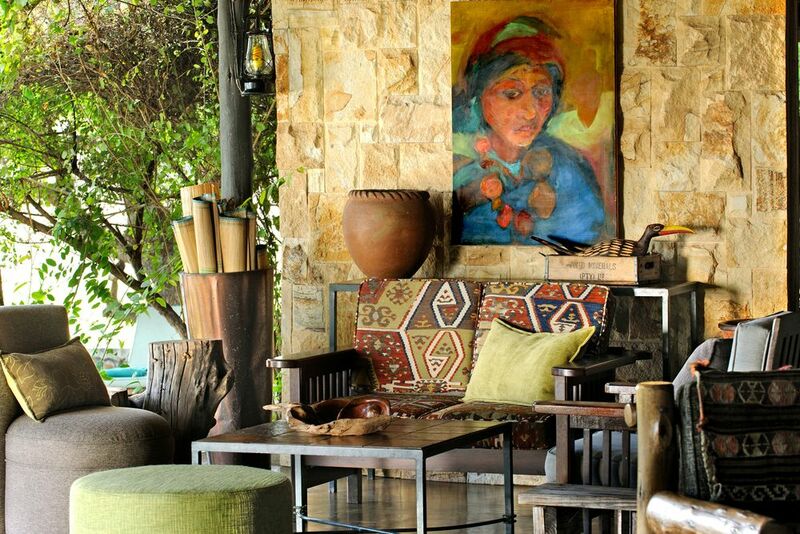 Inspirations are gathered by artists in the wilderness, expressing themselves with their artworks in the boma, the bungalows and their own sculpture garden. For safety reasons, only children over the age of 6 can take part in game drives. Participation in walking tours is allowed for children and adolescents between 12 and 18 years.